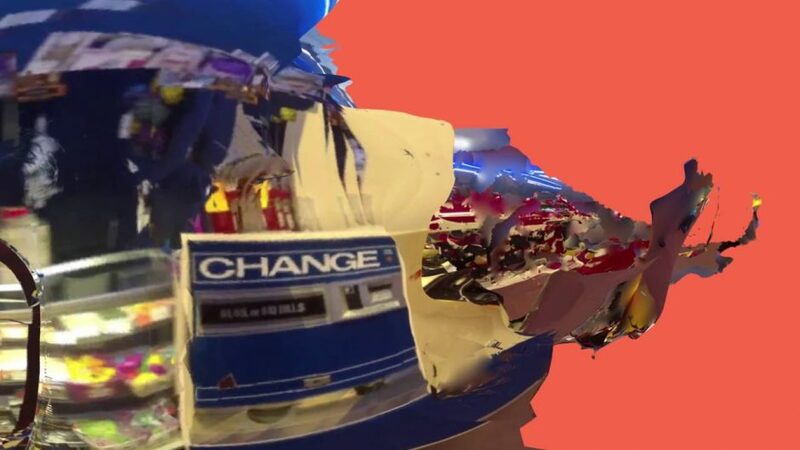 Catacombs is a virtual reality video that explores the death of suburban shopping malls. Catacombs resurrects artificial shopping spaces that were captured by multiple people through video prior to their destruction, but have since been torn down. By using photogrammetric methods of three dimensional reconstruction, found youtube videos are extruded into fragmented digital models of the mall's interiors, and the result is viewed in virtual reality.